Hello! Time for another fun challenge at Paper and Such! This time round we are having a Father's Day challenge. I used the Deer Dad set which is great for making masculine cards! I stamped the image on some newsprint DP and colored it for a quick and easy CAS card. Thanks for stopping by and hope you can play along with us this week! I love this. 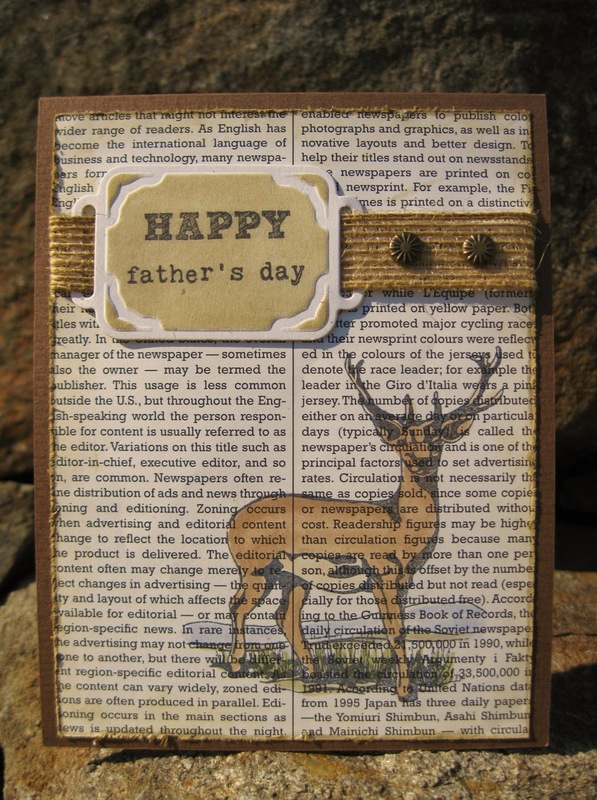 I love the stamping of the deer over the background and them coming through the deer. Cute! I love this idea and card, super awesome! Great idea! Totally awesome card! Wow, I love this--maybe you've started a new trend! Very cool! This is one of the neatest masculine cards I've ever seen! I love that image on newsprint and the sentiment panel is so unique and awesome too! NJ!